Burwood RSL Club is an affordable, relaxed club with excellent service, great entertainment, and good food. The club has recently undergone extensive renovations, with the new decor, lighting and furniture creating a more sophisticated feel. The Club also has a new Brasserie Restaurant with an extensive menu and excellent value with main meals starting from just $5.50. There is a wide range of food options, including salads, gourmet burgers, pizzas, pasta, mains from the grill and seafood platters at only $15.90. The wine list is also extensive and affordable. Burwood RSL also offers a more relaxed Cafe with bistro meals. There are both indoor tables and a new alfresco dining area which is a large timber decked garden area adjacent to the Cafe. The Brasserie & Cafe are open 7 days per week with the Cafe open for breakfast on a Sunday. Burwood RSL has a huge amount of free live entertainment, mostly held in the Stars Lounge from 8pm on a Friday and Saturday. There is free family bingo and kids movies screened throughout the January School Holidays. Interactive games such as 'Beat the Bomb' and 'Punters Choice' are held on a Thursday night, Friday afternoon & Sunday afternoon and offer members a chance to win cash and prizes, all with free entry. It is worth finding what upcoming entertainment is on. Affordable local and international shows are also held regularly, and Christmas and New Year's celebrations are held each year. 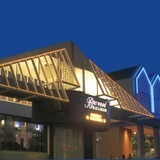 Membership at Burwood RSL club is $2 for 1 year or $10 for 5 years. With so much on offer, Burwood RSL is definitely worth the visit, and the small membership fee.